Chernobyl Exclusion Zone: Adrenaline & Radiation Urbex, A Good Day to Die Hard? The Chernobyl nuclear reactor disaster happened 27 years ago on April 26, 1986. After the explosion, a radius of 18.6 miles (30 km) was setup as the Chernobyl Exclusion Zone. That “zone of alienation” is becoming more frequently seen in popular culture; it was seen in the 2013 film A Good Day to Die Hard, in the 2012 Chernobyl Diaries and also in the 2011 movie Transformers: Dark of the Moon. The area is featured in hundreds of documentaries and even early on in the 1998 film Godzilla as a researcher studies the mutational effects of radiation on native earthworms. It’s the nightmare setting for several video games. 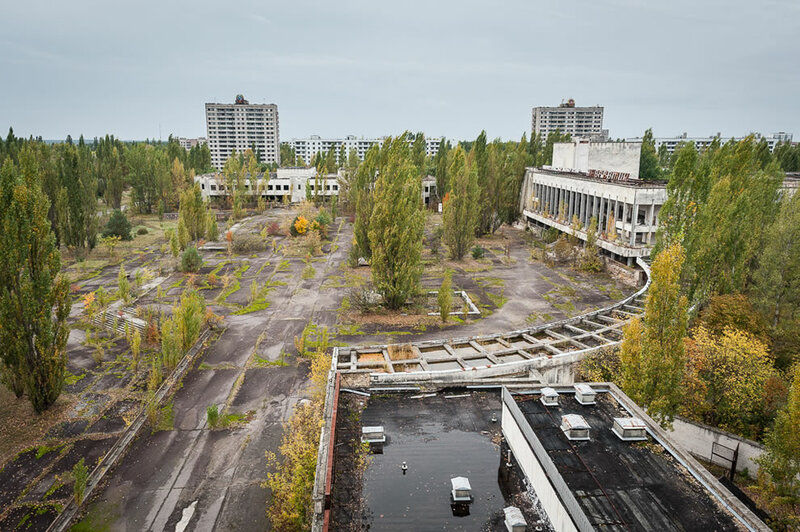 Although urban explorers have been coming to the Chernobyl Exclusion Zone for years, Ukrainian officials opened the zone for tourists with “special permission” in 2011. Whether you call it reverse eco-tourism, terror tourism, or an adrenaline rush urban exploration, it would undoubtedly be surreal to experience. Some claim it’s haunted, while others think it’s a dream setting for playing a zombie apocalypse-like paintball gun war. Thanks to those that were brave enough to take up their cameras and Geiger counters, we can take a virtual tour of the Exclusion Zone. It includes Prypiat, Prypiat amusement park, Polissya hotel, the Red Forest and more places stuck in time as everyone was evacuated with no time to pack. This is what visiting the Chernobyl disaster after almost 27 years looks like, since criteria for this photo essay included being creative commons photos taken as recently as possible with as many different radioactive areas as possible. Enjoy!